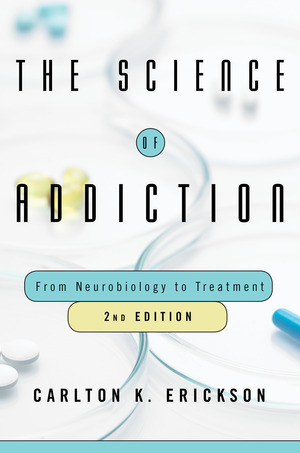 The Science of Addiction - Description | W. W. Norton & Company Ltd.
Over the past 10 years, neurobiologic and genetic research has provided an increased understanding of what causes drug addiction in the brain’s reward pathway. Knowing this leads to a better understanding of how it may be treated and even reversed in those who successfully overcome the disease. This is especially true with addiction’s possible precursors of mild to moderate substance use disorders. These latter disorders can usually be treated more easily by less intensive models of “treatment” that do not require actual brain chemistry re-regulation over time. 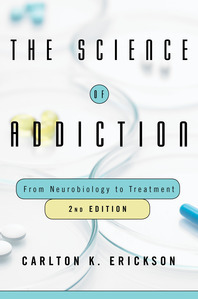 In this new edition, there are updated scientific references to support addiction as a medical brain disease, using the prevailing neurobiology, genetics and psychological scientific literature. We now have more psychosocial and medicinal methods for reversing abnormal brain chemistry during drug addiction. There are also more effective intervention, counselling and motivating methods (SBIRT, motivational interviewing) for overcoming resistance to treatment and resistance to change than were able to be discussed when the first edition was published over a decade ago. Here, readers will find a fully-updated glossary of terms, additional abbreviations and updated appendices. These will aid in clarifying the somewhat lengthy and science-based upgrades in our knowledge of neuroscience and genetics research that are so critical in understanding why addiction is such a serious and tough-to-treat disease. Utilising the same easy-to-read language that was a hallmark of the earlier edition, Erickson keeps the science understandable yet comprehensive—appropriate for health professionals as well as lay readers who need and want this critical information.